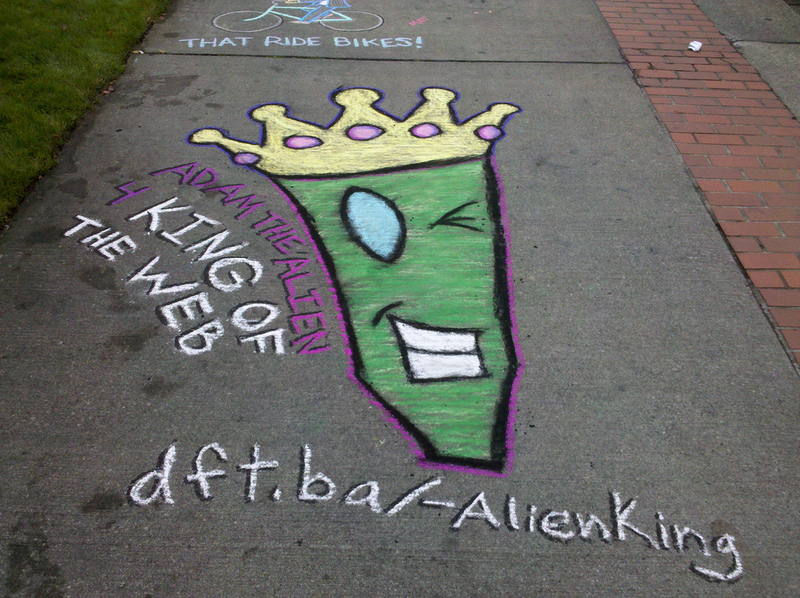 The actual time it took to draw this out on the sidewalk in chalk was half an hour. Remember to vote for me to win King of the Web! Vote ten times a day, every single day. You get a bonus ten votes for every five days you use all your daily votes, so remember to vote for me with your bonus votes as well! The music in this video is “The Annual New England Xylophone Symposium” by Do Kashiteru. You can download the song and check out more great stuff at ccmixter.org.